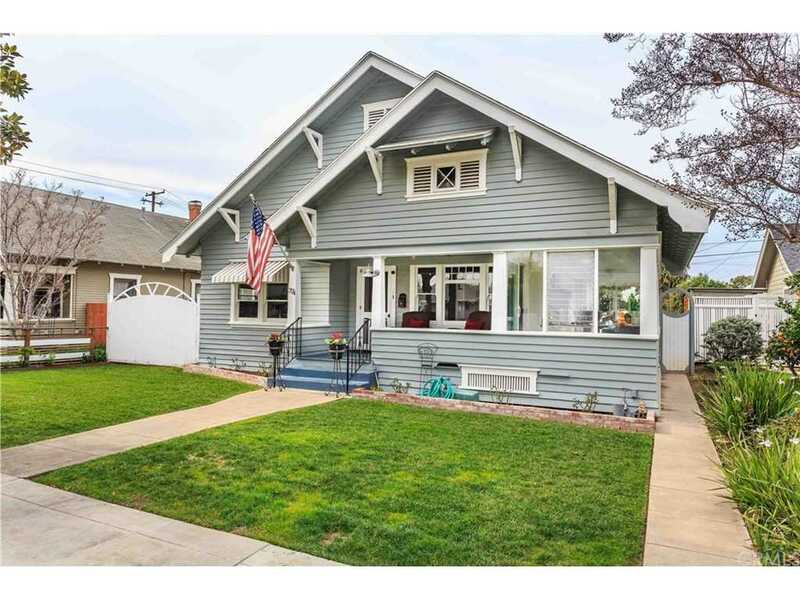 Charming Modern Industrial Farmhouse style 1911 Craftsman home in the historic district of Old Town Orange! Anything you are looking for you can most likely find in this home! 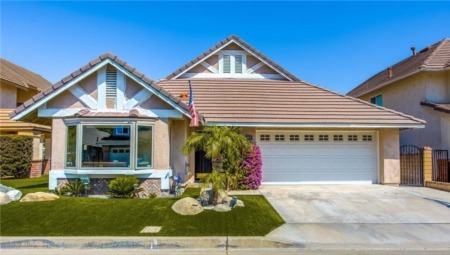 As you walk in you immediately notice the beautiful hardwood floors and open floorplan. Light and bright with 9 foot ceilings this home is so welcoming! White Carrera Marble countertops enhance the stunning shaker style kitchen cabinets as well as the master vanity and tub. The very well appointed kitchen is perfect for entertaining and family gatherings being in the center of the home! Each bedroom has its own bathroom, one with a shower-, one with a tub shower and one with a jetted tub! The yard is a great space for entertaining or chilling and relaxing, on the patio, under the tree on the hammock or sitting next to the fire pit! There are two beautiful producing avocado trees, an orange tree and a peach tree as well!! Parking is easy here, with a 2 car garage with roll up door, there is parking for 3 behind the garage, 2 RV parking areas and street parking out front. There is also a cute basement, a separate shed for storage and a MASSIVE ATTIC! The attic has 12' ceilings! A MUST SEE!! Just a short walk to downtown, not too close that parking is a problem, but close enough to enjoy all that downtown has to offer! SchoolsClick map icons below to view information for schools near 374 S Shaffer Street Orange, CA 92866. Listing provided courtesy of Andrea Hollabaugh, First Team Real Estate.